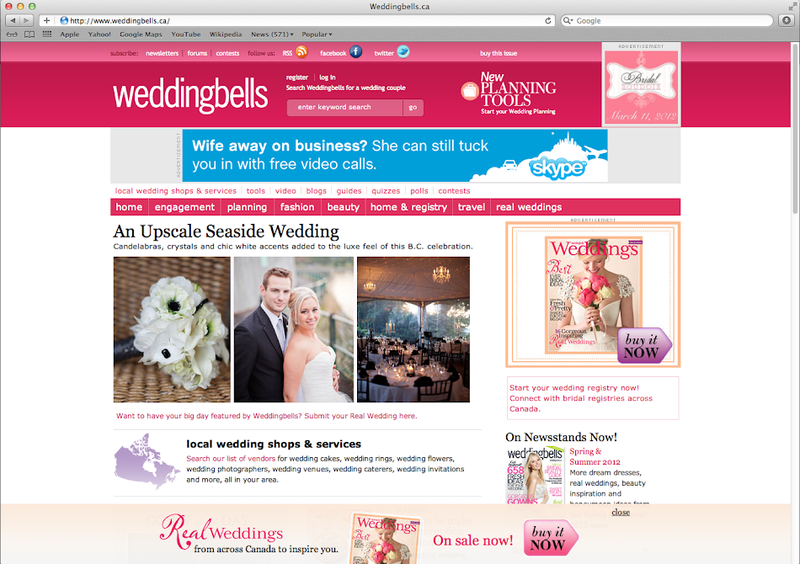 Had the pleasure of being featured on Weddingbells Magazine online today. 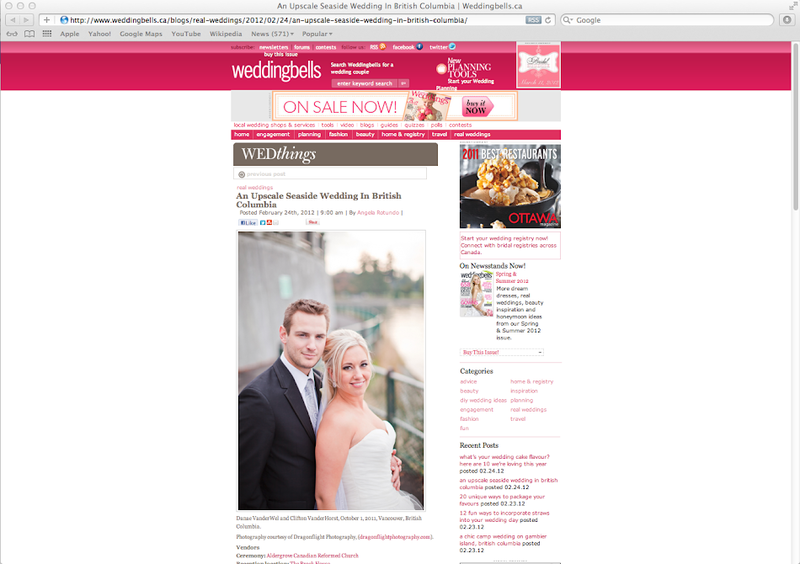 Danae & Clifton's beautiful Brock House Wedding that you can check out here. Always a pleasure being apart of Canadian Publications. Thanks! My God what a beautiful wedding! These look amazing and what an incredible looking couple! Love the photos - please comment! Copyright 2012 Dragonflight Photography. Simple theme. Powered by Blogger.